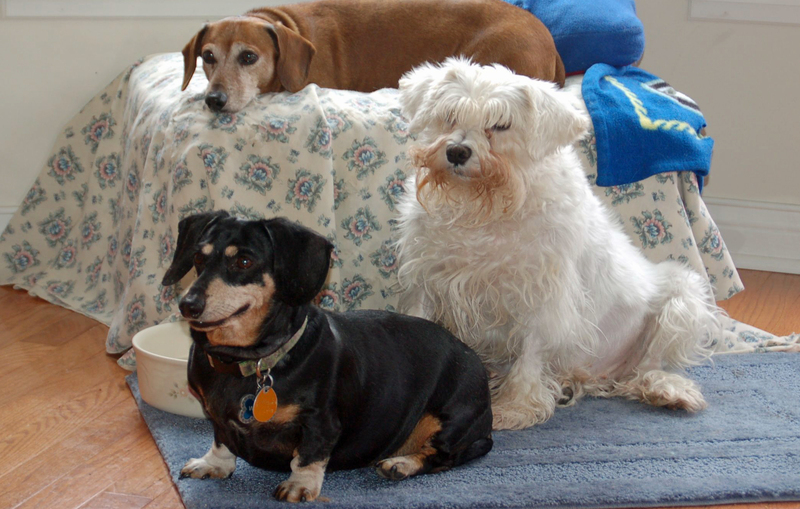 Jake, on ottoman, Windy and Hope watch their dinner being made. Spring means warmer temperatures, flowers peaking up from the earth and bugs planning their assaults. If you have not been on year-round flea treatment, get back on your flea-fighting regime. I use K9 Advanrtix, a monthly topical. Advantix fights ticks, mosquitoes and biting flies. With winters being quite cold in Ohio, I do stop treating in December, January, February and sometimes March depending on how cold it is. Some may fault me for not treating for fleas year-round, but fleas can get immune to certain medications. It has happened to my furkids, so I have had to switch brands. My veterinarian is OK with this. I don’t like topicals, but it has been my experience that these work the best. I hate to say it, but any organic trick I have tried has not worked. And flea collars do next to nothing. Flea powder is ridiculous. Don’t buy your flea treatments at a big-box discount store. You won’t be saving money in the long run. You don’t want the discomfort, time and expense of fighting a flea infestation, which we had to do once. After we moved in our first house, the previous owners’ cat left us many presents. Of course we didn’t notice this on our final walk-through before closing on the house. We noticed the fleas after we had been there a few days, and our dog was scratching. Duffy had been on the flea pills, which had been working well. Cleaning, vacuuming and changing the bags, and flea bombing the house became an ongoing nightmare, but we finally got rid of the fleas and their eggs. Poor Duffy had to have a change of flea treatment too. My concern has been with Hope, but the oncology vet said she could have her flea treatment. She is due for some vaccines, but those are not possible while she is on chemotherapy. Hope must stay away from strange dogs, and that has not been a problem. This past week Hope has nagged us for walks, and she has taken several on our regular route. Her white count was down, but that was to be expected. Last week was a scheduled off week for chemo. She is to have her next appointment Thursday – provided her white cell count is high enough. 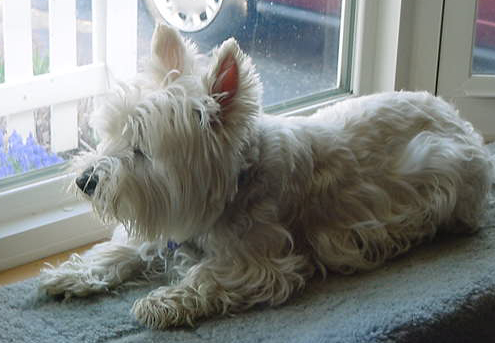 Angel dog Duffy, a West Highland White Terrier, loved lying in the bay window of our old house. This entry was posted in Dog Health, Medicine, Schnauzers and tagged Dachshunds, dog health, Fleas, medicine, Schnauzers, West highland white terrier. Bookmark the permalink.